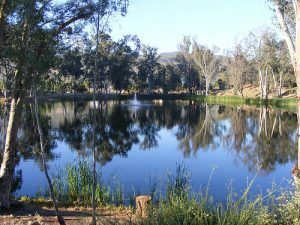 Save Little Lake Valley – Stop the Caltrans Willits Bypass! This entry was posted in Coyote Valley Band of Pomo, Events, Lawsuit, Round Valley Indian Tribes on March 21, 2016. Following is a terrific video by Maria Gilardin, summarizing much of what has led up to the Coyote Valley Band of Pomo Indians and Round Valley Indian Tribes lawsuit against CalTrans. Save Our Little Lake Valley is assisting the Coyote Valley Band of Pomo Indians with fundraiser for their lawsuit. Although they have an excellent pro-bono legal team, the cost of taking on an institution like CalTrans in federal court is nevertheless quite high. After watching the video, please consider donating. This entry was posted in Coyote Valley Band of Pomo, Lawsuit, Round Valley Indian Tribes, Sherwood Valley Pomo, Videos on March 1, 2016. We are writing to share an opportunity to build alliances with Native communities. We are asking you or your organization to sign on to letters to state and federal agencies and, if possible, for your financial support of an important lawsuit. This entry was posted in Coyote Valley Band of Pomo, Lawsuit, Literature, Round Valley Indian Tribes, Sherwood Valley Pomo, Updates on January 12, 2016. 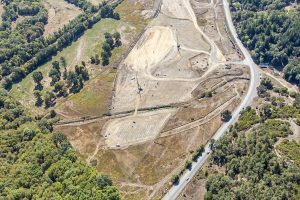 Please send letters to the State Historic Preservation Office and the Advisory Council on Historic Preservation asking them NOT TO SIGN the Programatic Agreement on the Willits Bypass Project. The Coyote Valley, Round Valley and, indeed Sherwood Valley Indian Tribes, are all thoroughly disgusted with Caltrans’ treatment of both them and their cultural heritage. Coyote Valley and Round Valley have gone so far as to file a suit in federal court. It is unconscionable that the agencies tasked with historic preservation would sign an agreement that the local tribes vehemently oppose. There are two documents (The PA and the PRDMP) currently before the agencies (The State: SHPO and the Federal: ACHP) tasked with Historic Preservation.